Marjorie "Jean" Horine, of College Place, Washington, formerly of Macomb and Galesburg passed away peacefully surrounded by her family and loved ones in College Place, on Friday, September 7, 2018 at 12:25 a.m. at the age of 95. 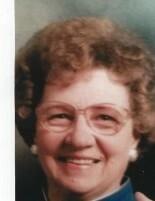 She was born on June, 19, 1923 in Macomb, Illinois to Granvil and Forrest Margaret Brandon Greeling. She first married Tom Firof. She later married Robert "Bob" Horine on December 5, 1971 in Macomb. He preceded her in death on August 30, 2018. She was also preceded in death by her parents; two sisters, Kathlyn Dakin and Mary Henderson and one brother, William Ansel Greeling. Jean is survived by a daughter, Vicki (Ned) Shane of Galesburg; one son, Dale (Susan) Firof of Macomb, step-children, Teresa (Steve) Wheeler of College Place, Washington, Maura Horine of Spokane Valley, Washington, John (Daya) Horine of Columbia Falls, Montana, Lora (Kerry) Poirier of Polson, Montana and Jeffrey Hamm of Kauai of the Hawaiian Islands; 18 grandchildren, 37 great-grandchildren and one great-great-grandson. Jean and Bob spent the last 2 years of their lives in College Place, Washington where Bob’s daughter and son-in-law, Teresa and Steve Wheeler live. Teresa and Steve were the most loving , caring and devoted children. They lived to make everything as good as possible for Jean and Bob and treated Jean as if she was their second mom. Jean was a hard worker, a wonderful cook and a very generous lady, always tried to help both her children and grandchildren however she could. Cremation rites have been accorded. Graveside services will be held at St. Paul’s Cemetery in Macomb on Oct. 12, 2018 at 2:00 p.m.
Memorials may be made to St. Paul’s Cemetery in Macomb.